I won't blame you if you want to spend the weekend between Pitchfork Music Festival and Lollapalooza taking it easy and spending time away from live music, but if you go that route you'll be missing some great shows. Tonight Beyonce & Jay Z take over Soldier Field and DJ Mustard plays the Mid. Tomorrow night Fed Up Fest kicks into gear at Co-Prosperity Sphere and Jurassic 5 headline the Riviera Theatre. On Saturday the Gin Blossoms headline Taste of Lincoln Avenue and Dikembe performs at Township. On Sunday you can see New Edition at the Venue at Horseshoe Casino or Derrick Carter at Smart Bar. Be sure to comb through Soundboard for all the Reader's concert listings and listen to our new "Best shows to see" playlist at the bottom of this post (and follow us on Spotify too). Read on for some more show recommendations from our critics. "Trent Reznor had a busy 2013," writes Maura Johnston. "He released the bracing, muscular Hesitation Marks (The Null Corporation/Columbia), his eighth album as Nine Inch Nails; his spacier, softer new band, How to Destroy Angels, made its full-length debut with Welcome Oblivion; he tinkered with the future of music distribution as chief creative officer of Beats Music, a splashy streaming service that launched in January; and he brought Hesitation Marks to arenas and festivals around the world. All this action might tire out a mere mortal, but Reznor sounds revitalized—on Nine Inch Nails' lean new tracks (the spaced-out 'Satellite,' the powerfully upbeat 'Everything'), his voice cuts through the mix whether he's snarling or whispering." Soundgarden and Oneohtrix Point Never also perform. "With her clear, unfussy voice and direct songwriting, Laura Cantrell makes the same sort of music she celebrated for years on her WFMU program Radio Thrift Shop, where she complemented classic Nashville country with other forms of strongly narrative Americana," writes Peter Margasak. "But on her latest album, No Way There From Here (Thrift Shop), she doesn't get bogged down pursuing 'authenticity'; her lyrics aren't set in a romanticized past, and the arrangements sound like contemporary country- and folk-rock (Cantrell worked with producer Mark Nevers and a top-notch group of players, including guitarists Kenny Vaughan, Dave Schramm, and William Tyler). On the gorgeous title track, the narrator and the object of her desire are irreparably separated ('There's no way there from here / No bridge across the ocean / No path up through the mountains'), but the distance between them is emotional. Many of the new album's songs traffic in this sort of unfulfilled longing, delivering timeless tales of heartbreak suffused with bittersweet recollections of more innocent or hopeful days." West-side rapper and producer Tahj "Saba" Chandler is one of five up-and-coming MCs I profiled in a B Side feature back in May; he recently released his ComfortZone mixtape, and I've got a lot to say about it. "Chandler explores stoops and parks in Chicago, gets lost in his own thoughts, and ruminates about the lives of crack addicts, fellow teenagers, inmates, and others; on '401K' he digs into the desperation that makes bright, promising kids like him reach for guns, and his increasingly aggressive rapping parallels their growing anxiety and dread. Even during one of Chandler's rare combustible streaks, he sounds approachable—he's got a warm, grainy voice and a liquid, easygoing flow, which make him seem friendly and down-to-earth." "The Bangles' breakout record, Different Light, came out in 1986, which means they've been playing 'Manic Monday' and 'Walk Like an Egyptian' at every show for nearly three decades—and they'll certainly play them tonight," writes Kevin Warwick. 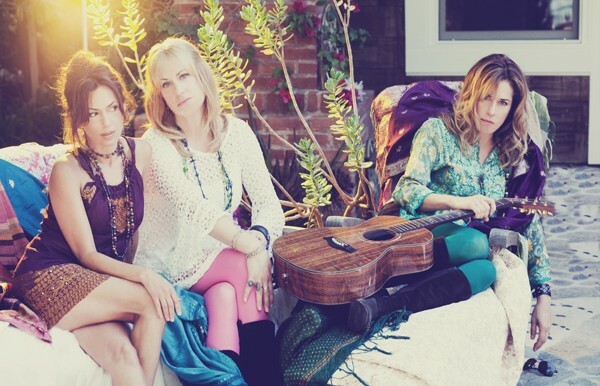 "The all-female pop group separated for a decade in 1989, pursuing other projects and, in Susanna Hoffs's case, a solo career; they reunited shortly before their induction into the Vocal Group Hall of Fame in 2000, and despite two new albums since then, folks still go see the Bangles to hear the same old songs. Some 80s pop stars would probably lobotomize themselves to erase their biggest singles from their brains forever (godspeed, Toni Basil), but the Bangles shouldn't be bothered. That's because their singles still pop."